You can’t go wrong with cheese so I am combining sharp cheddar with some spicy green chilies and shortcut soft pretzels in my Mexican Beer Cheese Skillet Dip. Bake and serve in the same dish for fewer dishes! 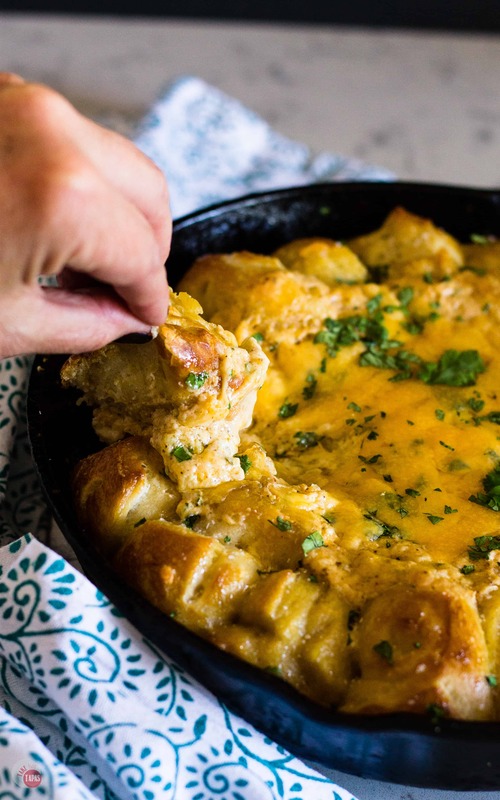 Cinco de Mayo is right around the corner but even if I wasn’t super psyched about celebrating with some tequila and all the Mexican food I can stand, I would still be making this Mexican Beer Cheese Skillet Dip! Sharp cheddar cheese, spicy green chilies, a hint of Mexican beer, and homemade Southwest Seasoning make for a great dip. Surround it with soft pretzels, dust it with salt like my tequila shots, and it is absolutely perfect! I know you might be thinking that pretzels are a little weird to be served with a Mexican Beer Cheese Skillet Dip but if I used tortilla chips, they would get all mushy in the process. Plus, the tang and the salt from the pretzels just brings the flavors of green chilies and the other Mexican Spices together. The other great reason is that the texture of the pretzels, being crispy on the top and soft in the middle allow you to smush them into all the crevices of the pan to get every last bite of cheese. So first, let’s talk about this amazing soft pretzel making shortcut. I got this recipe from my girl Madi over at Mildly Meandering. Madi uses canned jumbo biscuits and a little extra pretzel making technique to get them to a pretzel state with minimal hassle. I love the minimal hassle when using a premade dough and just doing a few steps to get to a final product that I want. Boiling pretzel dough in a solution of baking soda or other alkali solution is what is needed to get a deep brown color and the tangy aroma that is associated with a pretzel. If you don’t boil in the baking soda solution then you are really just making bread. The shortcut in this recipe is using pre-made bread dough, in this case, French Bread, and boiling it. Now I know you are looking at the picture and saying that these pretzels are not that dark! You are correct in saying this and my reasoning is the ingredients in the pre-made dough hinder the browning process a bit. I brush the pretzels with an egg wash to help the browning along but I’m ok with it not being super dark if you are. If not, maybe you can get some already made pretzel rolls and use those instead of the bread dough, and just bake the dip for a shorter time. So now that we have the dipping vehicle, let’s talk about the Mexican Beer Cheese Skillet Dip! Beer cheese dip starts with beer and cheese. A mixture of sharp cheddar and cream cheese is what we need to get a creamy cheese base. After the base is started, let’s start adding some Mexican flavors. A can of green chilies, my homemade Southwest Seasoning, and some beer. Mexican beer. I love to use Dos Equis because it is light and flavorful but feel free to use your favorite beer whether it is Mexican or not. Toss in some salt, pepper, garlic, and fresh lime juice to round it all out. Isn’t this making your mouth water for a tequila shot? It’s making mine! Mixing the Mexican beer cheese dip and preparing your skillet has us on our way. Arrange the soft pretzels around the outside of your skillet, fill in the center with your beer cheese dip, sprinkle a little more cheese on the top, and bake it off! Where did the idea for this Mexican Beer Cheese Skillet Dip come from? 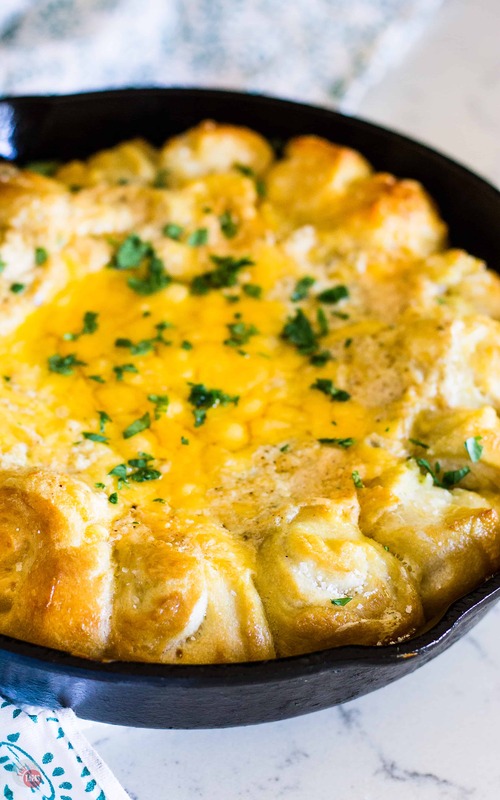 Now that we are almost done talking about this amazing Mexican Beer Cheese Skillet Dip with Soft Pretzels, let me tell you about Freaky Friday. I’ve been participating in this quarterly event for almost 2 years and love it! I have met some amazing and supportive bloggers and also found some great new recipes to add to my usual rotation. A group of bloggers throws their names in a hat, are assigned another blogger, and then we make a recipe from their blog. It’s kept a secret which blogger was assigned your blog, you make a recipe from the blog that you were assigned, and everyone posts on the same day. You can post the recipe as is or you can add your own spin to it. Some of my previous Freaky Friday recipes include a Creamy Corn Dip for the Crock Pot, Garlic Artichoke Cheese Toasts, and these Pan-Roasted Chickpeas. 1. Looking through my assigned blog for a recipe that I want to recreate, especially if I haven’t been assigned this blog in the past. I love finding new recipes like Madi’s Chicken Parmesan Dip, Garlic Bread Pizza Dip, and a great one for the holidays, Madi’s Pesto Christmas Tree Breadsticks. 2. I love reading all the other blogs that are participating and finding the blog that recreated my recipe, if they liked it, and how they add their own spin to it. This round I was assigned Madi from Mildly Meandering. I am excited because I haven’t had the chance to do a recipe from her blog and I get a chance to learn some new things about her. Like the fact that she lives in Michigan but loves to travel to other countries like Japan and Germany. She also has a hedgehog named Sir Humphrey Pricklemeister and studies English. While she started off with the usual dorm food, her blog has certainly expanded her horizons and I love all her tasty creations! 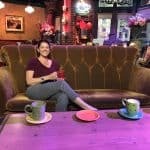 Freaky Friday is so much fun and I am so thankful that Michaela, over at An Affair From The Heart, started this amazing event. I have discovered new foods, new recipes, and new friends!! Now that everything is prepped and the Mexican Beer Cheese Skillet Dip is baked off, make sure you use tongs or let it cool a bit before you grab a soft pretzel. I suggest that you take a knife and cut the pretzels apart before serving it to avoid burning your, or your guests, fingers while trying to pull one out. Bring a medium-sized pot containing the water and the baking soda to a boil over medium heat. Pull out your bread dough and cut it into 16 even pieces. Roll each one into a ball. Cut an “x” on the top of each ball with a knife or scissors. Two at a time, drop the bread balls into the boiling solution, turning it to a simmer, and cook for 1.5 minutes, flipping occasionally. After the 1.5 minutes, remove the bread balls with a slotted spoon and place on a clean plate. Continue with the remaining bread balls, two at time, until all are cooked. Once all the pretzels are boiled, place them around the outer edge of the inside of the skillet. Combine the egg and milk and beat together until blended. Brush the pretzel bread balls with the egg wash.
Add the beer, green chilies, garlic, pepper, lime juice, and mustard. Pour into the middle of the skillet with the pretzel bread balls. Open the oven and sprinkle the reserved 1/4 cup cheese over the dip in the center. Bake for another 5 minutes. 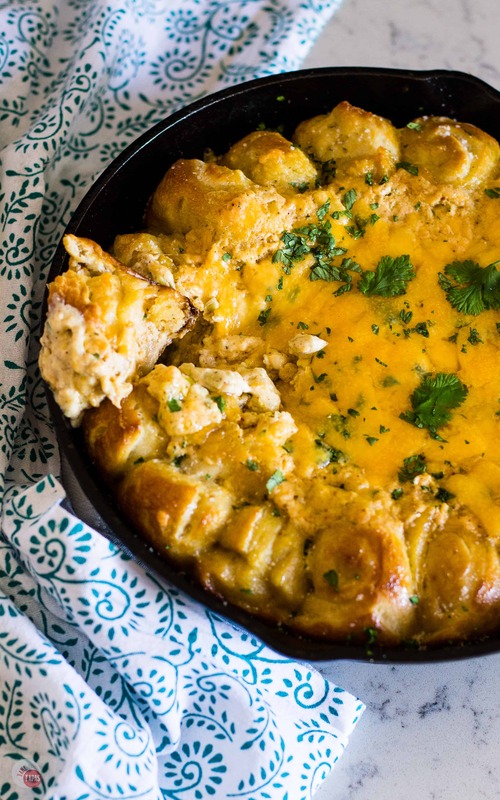 Remove the Mexican Beer Cheese Skillet Dip from the oven and let cool for a few minutes. Take a knife and cut the pretzels apart to help with serving. 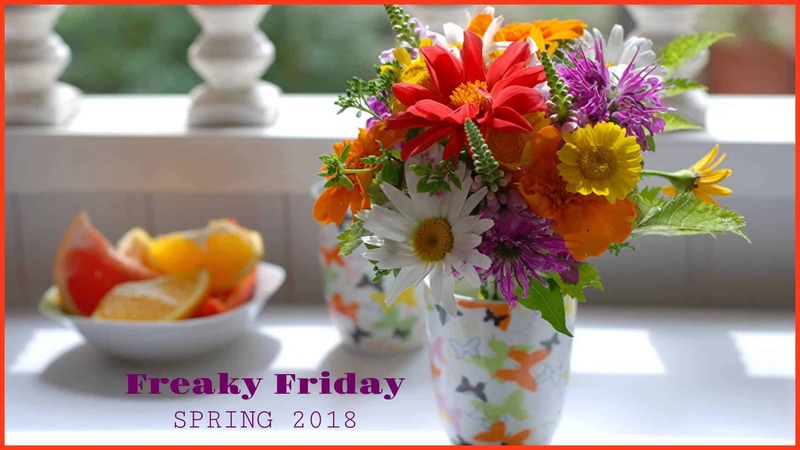 Check out all the other blogs that are participating in this round of Freaky Friday!! 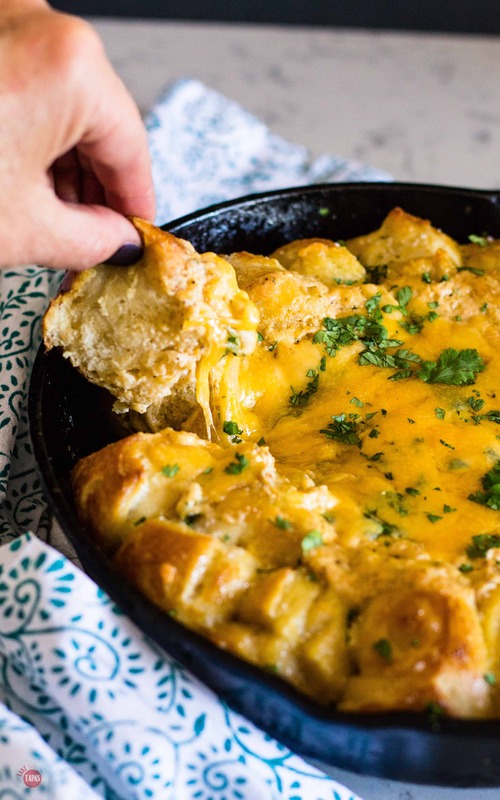 This boozy, cheesy deliciousness is just what I’m craving right now! Love it! I don’t know why I have never made pretzels before, especially when you make it look so easy!! You are truly the queen of the dips, you know it!? Thank for another great recipe! This is one recipe I definitely need to make (or have Madi make)…drooling over here! OMG I’d love that skillet on my next appetizer table. I’ll have to make it when I can share because I wouldn’t trust myself with that baby! 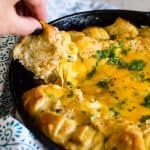 OMG I am in love with this MEXICAN BEER CHEESE SKILLET DIP WITH SOFT PRETZELS! It looks amazing!! I could eat the whole thing! This sounds amazing! I will have to make this soon. It seems like something I’d totally love with all that cheese, and those pretzels! Yum! This dip sounds absolutely addicting! It looks so amazingly cheesy and good! I love that you used refrigerated dough to make the pretzels easy to make! Hiya Jen! This is one delicious cheesy bite! The boys are going to love this . We love your idea for the short cut. We may need to touch base with you on how to update for some of the GDPR changes. Wishing you a lovely weekend. Thanks love! You too! Contact me anytime! Thank you for all of your tips and tricks to get the browning on the pretzels, much appreciated! And this dip, man it looks good – cheesy deliciousness! As soon as I saw the words beer and cheese in the same sentence, I was sold. This kind of dip is right up my alley! I’m so glad you picked this recipe! I love that used mexican beer in it, it would be so perfect for cinco de mayo! I really really need to make this asap!!!! I love the idea of the french bread for an easier semi homemade pretzel!!! So smart and that paired with all that flavorful cheesiness?!! WOW!!! I am definitely making this for our next friends happy hour get together! If pretzels are on the menu I’m ordering them. LOVE me some soft pretzels and cheese; especially beer cheese dip.